A sucker for heightened sensitivity? Big on the idea of increased size? Get your hands on the Rimba Vacuum Cupping Set today! Sensation play or edge play – this all-inclusive suction cup set will definitely bring the blood to the skin’s surface. 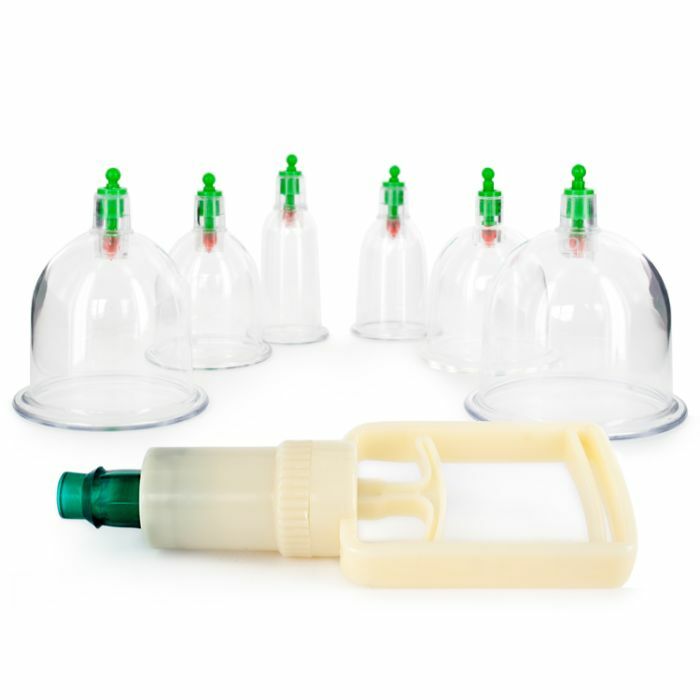 In this kit you’ll receive six clear plastic interchangeable cups and one suction pump. The suction cups come with a curved base for better adhesion. Simply spread a little lube around the rim of each cup to ensure an optimum seal, attach the suction pump and apply the cup to the skin. Give the pump a few squeezes until you’re satisfied with the amount of suction. Now you can release the pump and the suction cup will remain in place until you decide it’s time to break the seal. These suction cups are an excellent way to prepare the skin for more sensation play or can be used in conjunction with other edge play activities.